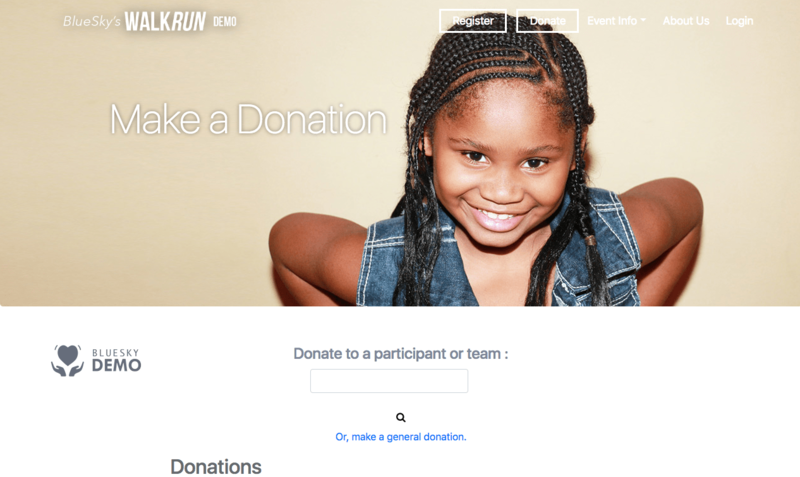 Blue Sky Collaborative is a holistic peer-to-peer social fundraising solution that gives organizations everything they need to manage and promote walks and runs, bike races, galas and dinners, and DIY events. Create online forms for registrations, donations, volunteer sign-ups, etc. About: From online forms and team management to a suite of communication tools, Blue Sky Collaborative serves as an all-in-one solution for peer-to-peer fundraising that includes customization services as needed for a premier event experience.